“The patrons of the false Europe are bewitched by superstitions of inevitable progress. 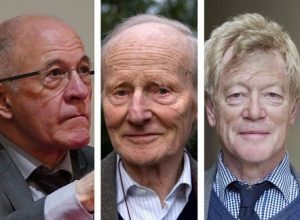 They believe that History is on their side, and this faith makes them haughty and disdainful, unable to acknowledge the defects in the post-national, post-cultural world they are constructing.” — The Paris Statement, signed by ten respected European scholars. German Interior Minister Thomas de Maizière’s proposal to introduce Muslim public holidays shows that when it comes to Islam, Europe’s official “post-Christian” secularism is simply missing in action. “The patrons of the false Europe are bewitched by superstitions of inevitable progress. They believe that History is on their side, and this faith makes them haughty and disdainful, unable to acknowledge the defects in the post-national, post-cultural world they are constructing. Moreover, they are ignorant of the true sources of the humane decencies they themselves hold dear — as do we. They ignore, even repudiate the Christian roots of Europe. At the same time they take great care not to offend Muslims, who they imagine will cheerfully adopt their secular, multicultural outlook”. In 2007, reflecting on the cultural crisis of the continent, Pope Benedict said that Europe is now “doubting its very identity“. In 2017, Europe took a further step: creating a post-Christian, pro-Islam identity. Europe’s official buildings and exhibitions have indeed been erasing Christianity and welcoming Islam. “The French Revolution seems to be the birthplace of Europe; there is little room for anything that may have preceded it. The Napoleonic Code and the philosophy of Karl Marx receive a prominent place, while slavery and colonialism are highlighted as the darker sides of European culture (…) But the most remarkable thing about the House is that, as far as its account is concerned, it is as if religion does not exist. In fact, it never existed and never impacted the history of the continent (…) No longer is European secularism fighting the Christian religion; it simply ignores every religious aspect in life altogether”. The Brussels bureaucracy even deleted the Catholic roots of its official flag, the twelve stars symbolizing the ideal of unity, solidarity and harmony among the peoples of Europe. It was drawn by the French Catholic designer Arséne Heitz, who apparently took his inspiration from the Christian iconography of Virgin Mary. But the European Union’s official explanation of the flag makes no mention of these Christian roots. 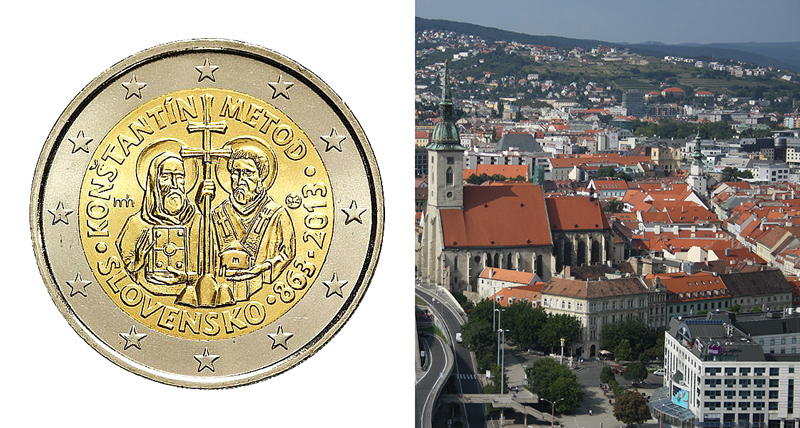 The European Monetary and Economic Department of the European Commission then ordered Slovakia to redesign its commemorative coins by eliminating the Christian Saints Cyril and Methonius. There is no mention of Christianity in the 75,000 words of the aborted draft of the European Constitution. German Interior Minister Thomas de Maizière, of Angela Merkel’s ruling Christian Democratic Party, recently suggested introducing Muslim public holidays. “In places where there are many Muslims, why can’t we think about introducing a Muslim public holiday?”, he said. “The submission is moving ahead,” replied Erika Steinbach, the influential former chair of the Federation of Expellees — Germans expelled from various Eastern European countries during and after World War II. Beatrix von Storch, a leading politician from Alternative for Germany Party (AfD), just tweeted: “NO! NO! NO!”. De Maizière’s proposal shows that when it comes to Islam, Europe’s official “post-Christian” secularism is simply missing in action.